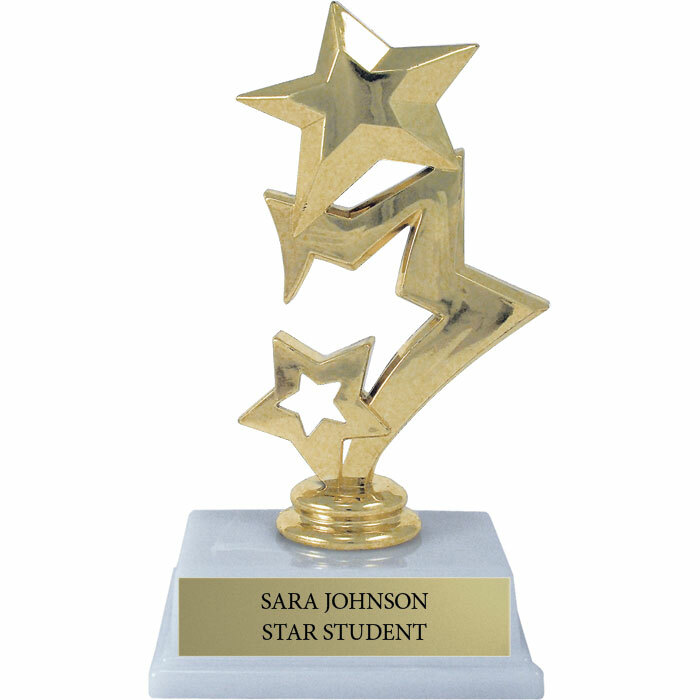 Everyone loves to receive a trophy, and now you can afford one for every student! This traditional top with a solid marble-look base comes with free personalization. We'll laser print your text on gold foil and ship within just 3 business days. Order now and get a $.50 discount per item for entering engraving text online! Approximate size: 3.25" x 6"